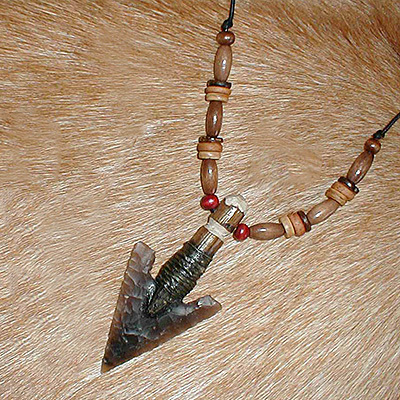 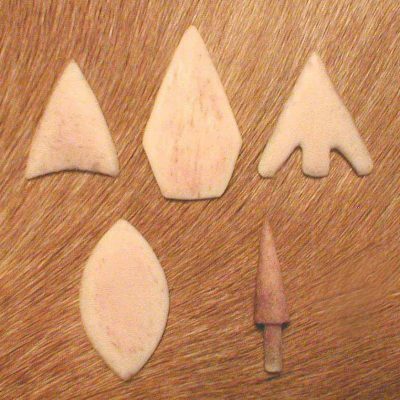 This variation is a larger knapped flint arrowhead and strung with beads. 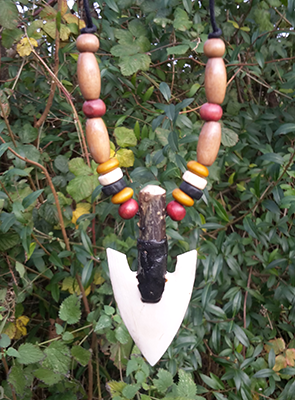 Certainly an unusual and beautiful gift for anyone! 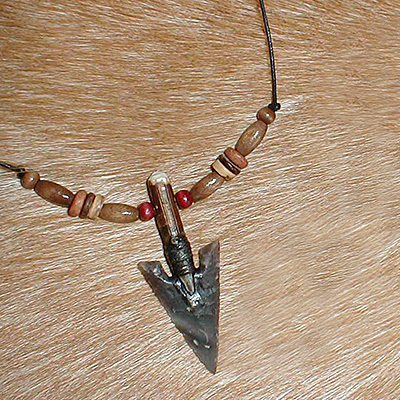 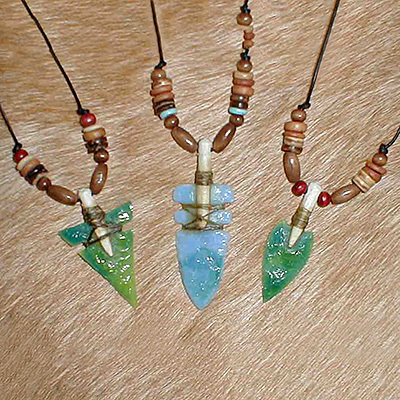 Be the first to review “Large flint arrowhead necklace” Click here to cancel reply.